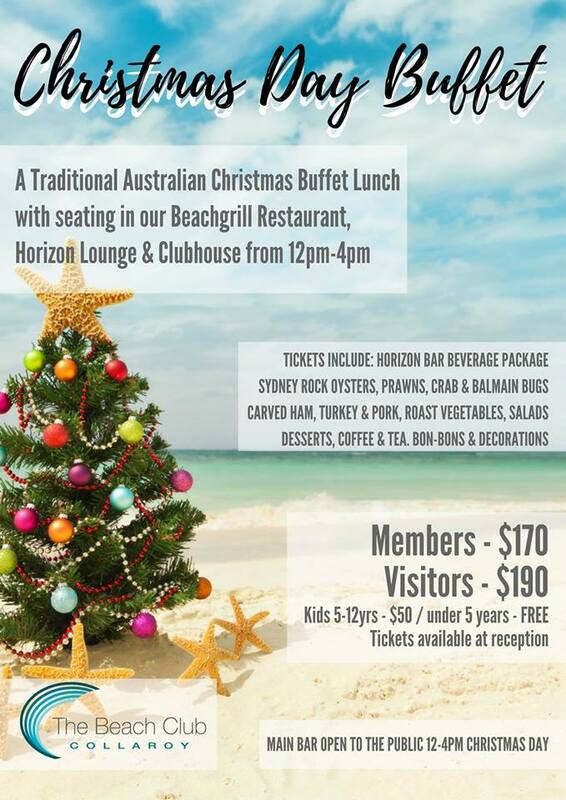 Join The Beach Club Collaroy this Christmas Day for a Traditional Australian Seafood Buffet Lunch on Absolute Waterfront. Top level rooms & Horizon Bar open from 12.00-4.00pm for ticketholders only. Tickets available from reception or call 9971 5355 to book & pay via credit card over the phone.